Pedestrians and beach users are encouraged to take care near cliffs along the Surf Coast following heavy rain in winter and spring. Great Ocean Road Coast Committee, Parks Victoria and Surf Coast Shire Council said the start of summer was a good opportunity to remind community members and visitors about cliff instability. Fragile sand dunes are deteriorating due to an increase in illegal access, threatening coastal environments and posing safety risks to beachgoers. In celebration of National Volunteer Week, the Great Ocean Road Coast Committee (GORCC) would like to thank our dedicated coastal environmental volunteers for the time they take to look after our beautiful coast on behalf of the community. Kit-e Kline and children Makeisha, 6, and Jamaiyah, 3, help clean up the rubbish around Bird Rock car park during Clean Up Australia Day 2013 held in March. According to Volunteering Australia, this week is Australia’s largest celebration of volunteers and volunteerism with over 6 million (ABS 2010) people volunteering annually in Australia which represents 36 per cent of the adult population. National Volunteer Week is an opportunity to say thank you to all our volunteers acrosss the nation and you are invited to get involved! Learn more about National Volunteer Week here. National volunteer week presents a perfect opportunity for GORCC to say a big thank you to all the individuals who are making a difference to our environment! Attending meeting and social events. These groups are always looking for more helping hands – so if you have a little time to spare, get in touch with a group in your area. Learn more about coastal volunteering in our region and view a directory of local groups here. National Volunteer Week will finish on Sunday May 19. Did you know GORCC also runs a free environmental education program for schools and groups? Volunteers have made some incredible progress on the coast and they are always making new discoveries, running interesting events and working to educate the community about how to look after our precious coast. Catch up on news and stories from volunteer groups here. View over Anglesea, including the site where conservation works are set to take place this Friday. This Friday an army of volunteers will descend on the coast at Anglesea, planting precious Moonah trees and forming a human chain gang as they transport mulch up the dunes. 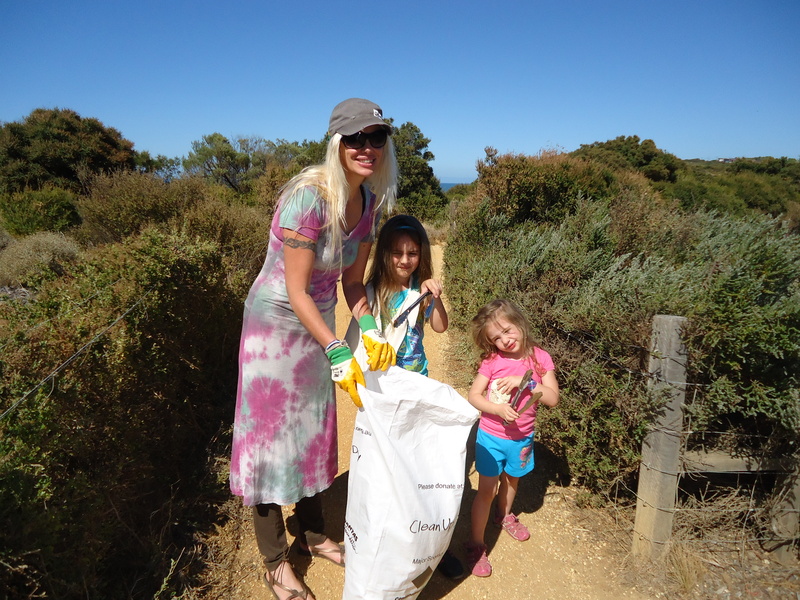 The project, which is part of an annual conservation day organised by the Torquay Landcare Group, is a joint effort between a number of groups and organisations, demonstrating the difference that can be made through coordinated action. 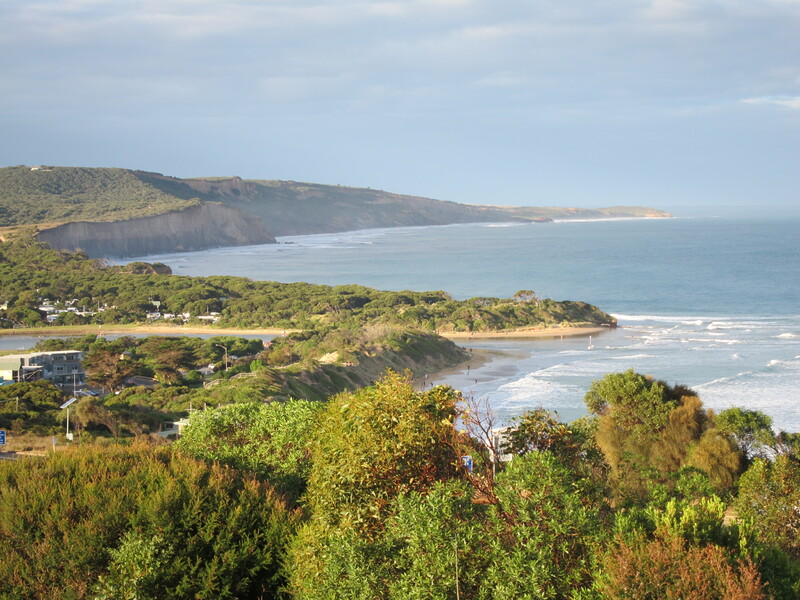 Torquay Landcare will be joined by the Anglesea, Aireys Inlet Society for the Protection of Flora and Fauna (ANGAIR), the Great Ocean Road Coast Committee (GORCC) and others while Quiksilver is generously providing funding support and around 20 staff volunteers. Quiksilver gives staff 2 volunteer leave days each year where staff are encouraged to get out of the office and do something positive for the community. The revegetation day is on the Quiksilver Foundation Event Calender every year. The organisation has been working with these groups now for over 6 years and at the Anglesea site for 3 consecutive years. Coastal Moonah Woodland is listed as a threatened community under the Flora Fauna Guarantee Act 1988 and the group aims to rehabilitate the area in an effort to restore it to its former glory. Anyone can get involved – so if you love the coast and want to roll up your sleeves (plus have a great day out!) feel free to come along and join in. The day starts at 9am (meet at the foot of the stairs at the Surf Beach dunes – opposite Red Till) and lunch is provided at the Anglesea Surf Lifesaving Club at 1pm. For more information contact Rhonda from Torquay Landcare on 0428 374 610. If you can’t make it tomorrow, then there’s always next year! The annual event is set to occur on Spring Creek in 2013, so stay tuned! To learn more about coastal volunteering in our region, visit our webpage here. Here are a few simple tips that will help you to protect our beautiful coast and ensure everyone can continue to enjoy it. Understand boating practices (dispose of waste correctly including sewerage). Minimize the amount of rubbished generated by reusing bags and using recyclable materials. Become a volunteer. Get in touch with one of these coastal environmental volunteer groups to get involved. When boating, whales, dolphins and seals stay at least 100m away – the sea is their home. Rock pools are homes to plants, so return overturned rocks to their original position and don’t disrupt the habitats of marine life. 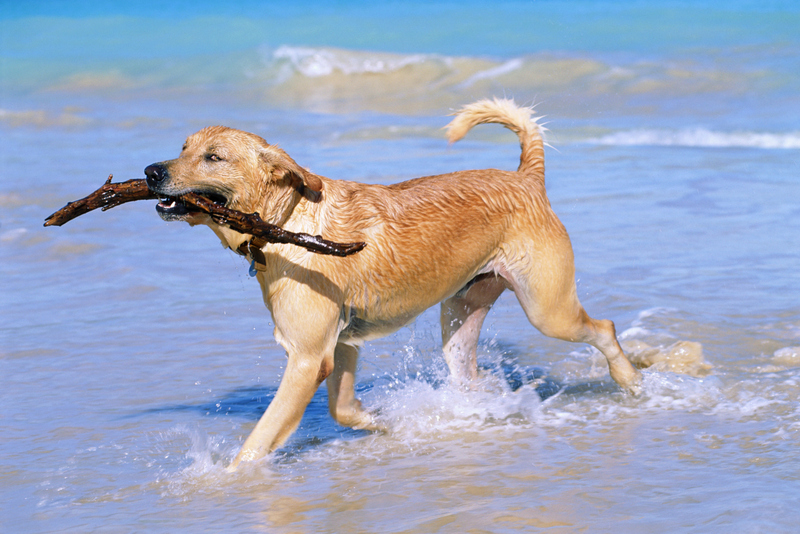 Ensure dogs are on leashes on the beach and avoid dog prohibited areas. 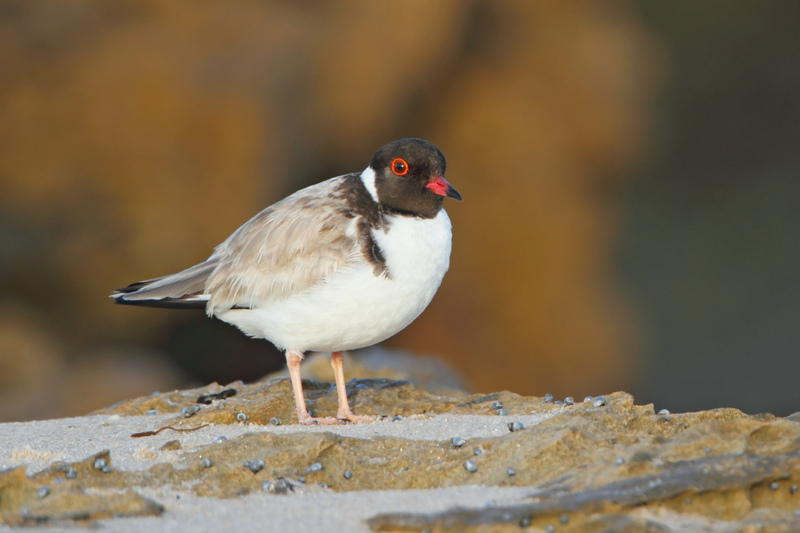 This will ensure wildlife, such as the Hooded Plover – an endangered little Aussie bird battling to survive, are protected. If you see an injured animal the best thing you can do is call the right people immediately. If they are alive call DSE on 136 186; they have a customer service center which will direct you to the closest local animal shelter or refuge. – for more information on what to do with sick or injured animals click here. Keep on designated pathways when walking to and from the beach to protect the vegetation. Take care to avoid sand dunes as they are fragile ecosystems which are home to precious native vegetation and many habitats. Be sure to look out for noxious weeds – they start off in your garden and from there they invade the coast! For more information on noxious weeds click here. Inspiration for this post came from ’50 Ways to Care for our Coast’, a publication by Coast Care. For more tips on how to protect our coast click here. It might seem like fun but playing in sand dunes can not only destroy these areas but can be dangerous. 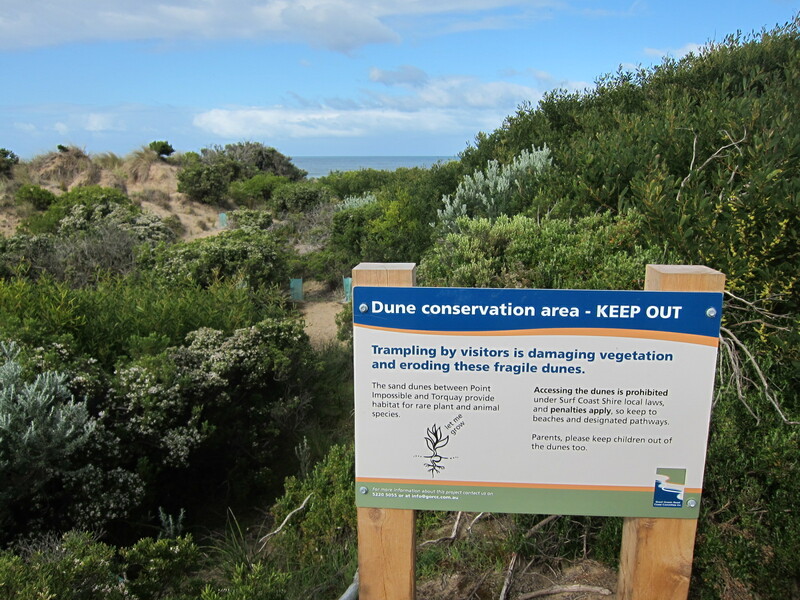 Coastal conservationists are sending out the message- stay safe and keep out of the dunes! Great Ocean Road Coast Committee (GORCC) Coastal Projects Manager, Mike Bodsworth said running and jumping on dunes could be great fun but caused serious damage to the vegetation which holds the dunes together. It might look like fun, but playing on the dunes is prohibited to preserve native vegetation along the Surf Coast. Have you noticed anyone entering the dunes in your area? “Dunes that are stripped of native vegetation commonly develop ‘blow-outs’, or large gullies of wind-blown sand.“Over time these gullies become larger and are extremely difficult to rehabilitate,” said Mr. Bodsworth. 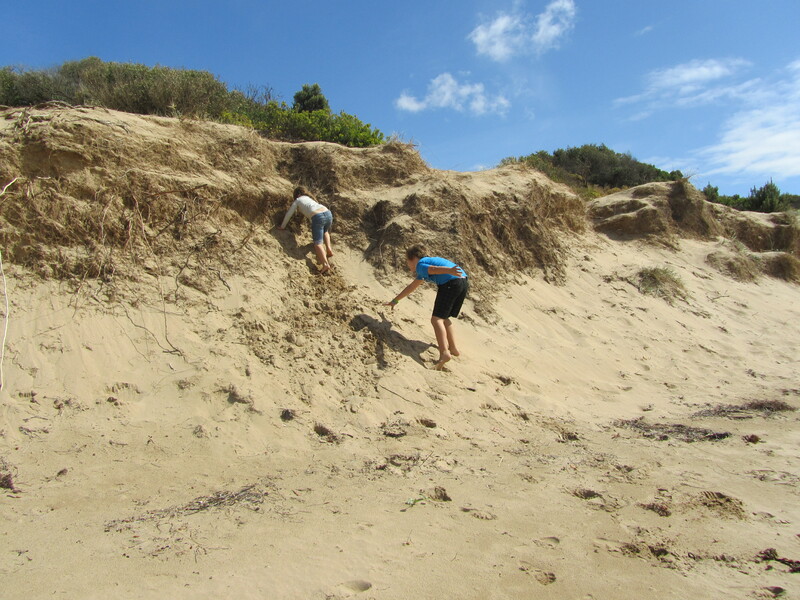 Torquay Coast Action (TCA) is a local group dedicated towards shaping, restoring and maintaining the environmental integrity of coastal dunes. TCA President Glenda Shomaly, said the fragile dunes, desperately needed to be looked after, and that plants were vital to the future of the dunes. “It doesn’t take much to loosen the vegetation holding the dune together and kill the roots causing erosion and ‘blow-outs’,” she said. Mr. Bodsworth said playing in the dunes could not only threaten the natural environment but there were hidden dangers for beachgoers as well. It’s common for objects like sharp sticks, stones, wire and glass to lurk amongst soft dune sand and we are concerned for the safety of people playing in the dunes. “It’s common for objects like sharp sticks, stones, wire and glass to lurk amongst soft dune sand and we are concerned for the safety of people playing in the dunes,” said Mr. Bodsworth. Have you noticed any dunes which are developing gullies or blowouts? 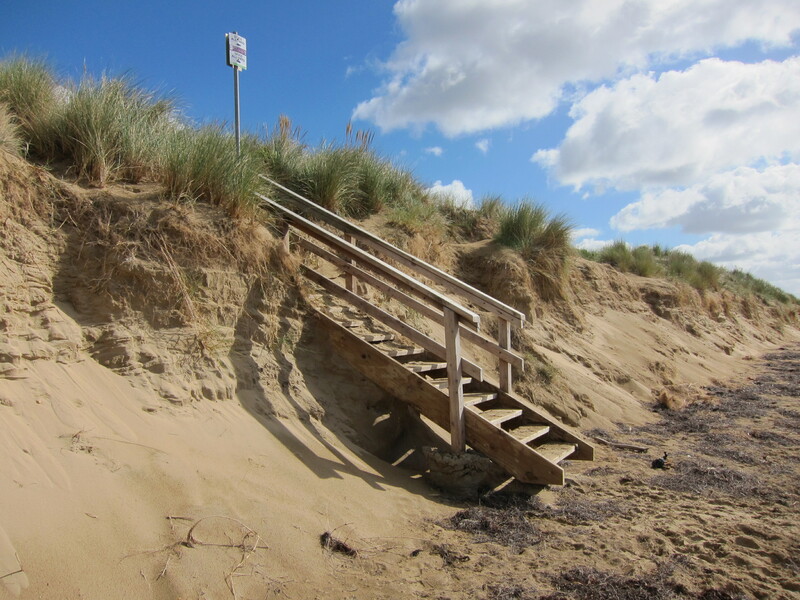 Ensuring kids utilise the designated areas such as playgrounds and reserves on the foreshore will prevent further damage to the fragile coastal dunes. Click here for location maps of playgrounds and reserves on the Surf Coast. Surf Coast Shire local laws prohibit access to dunes unless on designated pathways, the laws apply to all fenced and unfenced sand dune areas. Where an area is unfenced, the ban applies to the entire sand dune starting from the bottom part closest to the sea. The vegetation on the dunes holds them together when this vegetation is destroyed the dunes begin to recede. “You can help to protect our dunes and stay safe by staying to designated paths and tracks, and staying off the dunes,” said Mr. Bodsworth. For more information about protecting the dunes and our coastal environment visit the GORCC website www.gorcc.com.au. TCA conduct regular working bees, for more information or to volunteer contact Glenda Shomaly on 5261 6266 or click here to visit the GORCC volunteers page on our website. This column appeared in the Surf Coast Times fortnightly Greent the Coast Column. Your input into the management of the coast is much appreciated and we’d love to hear from you.